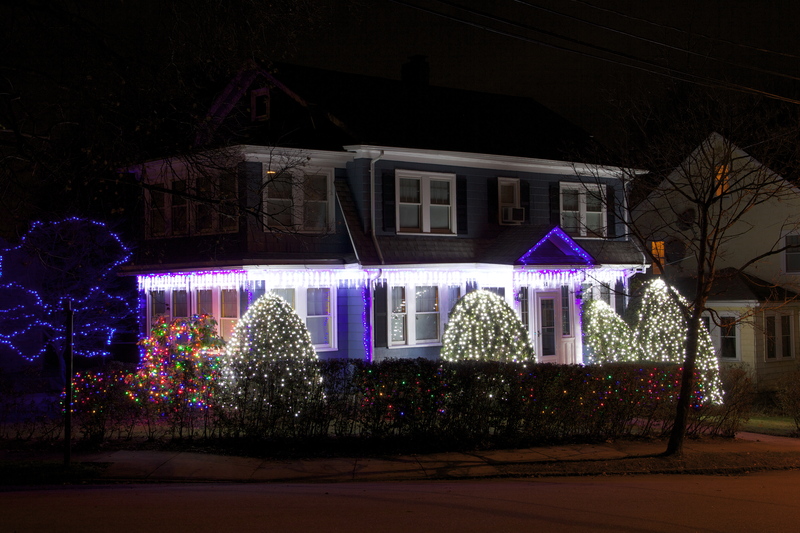 Apparently the folks on Lockeland Avenue know, and would like to remind everyone with this bright display of lights. November 26, 2011. 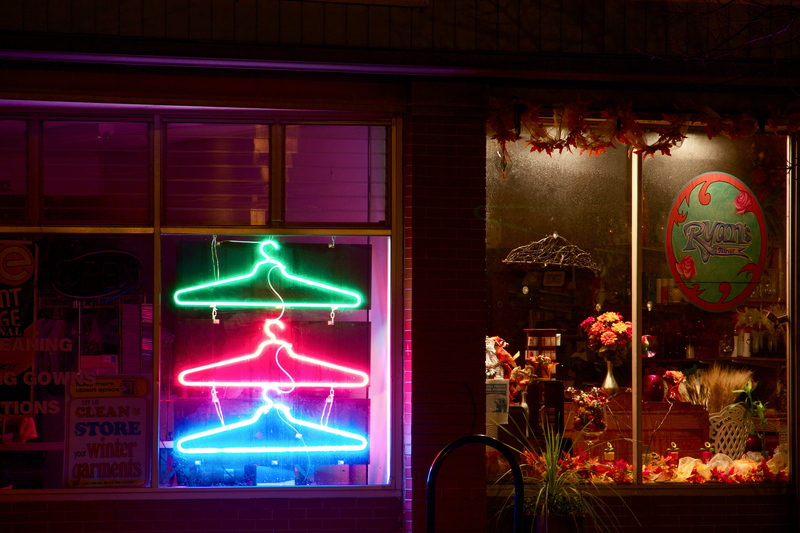 Noble gases illuminate the front window of Mike's Washing & Dry Cleaning on Massachusetts Avenue. Next door, autumn colors at Ryan's Florist. November 26, 2011. 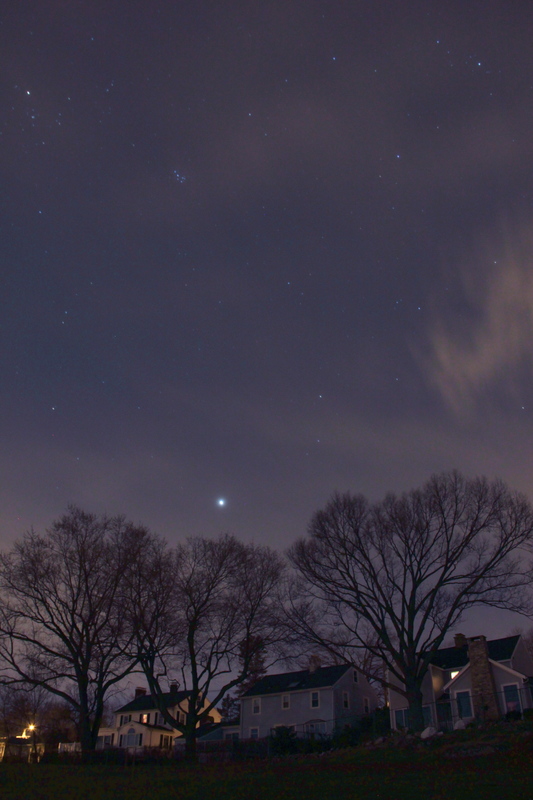 The planet Jupiter shines bright in the westerly sky over houses abutting Robbins Farm Park. November 26, 2011. 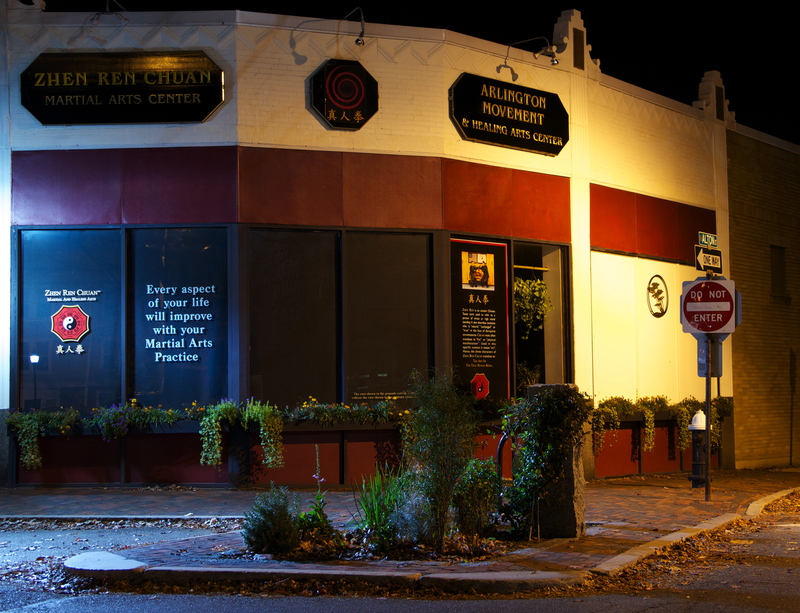 The Zhen Ren Chuan Martial Arts Center on Broadway in Arlington center. November 26, 2011. 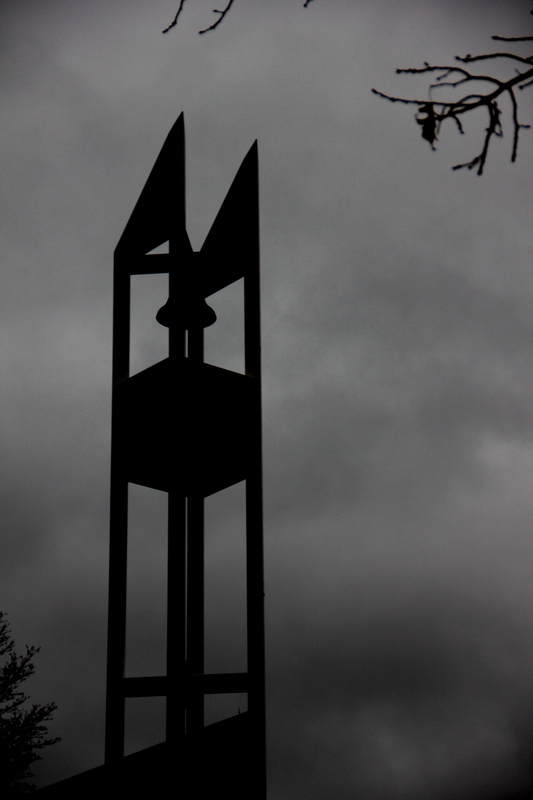 After being destroyed in 1975, the clock tower of the First Parish Unitarian Universalist Church was rebuilt in this modern design which is silhouetted against the cloudy afternoon sky of November 23, 2011. 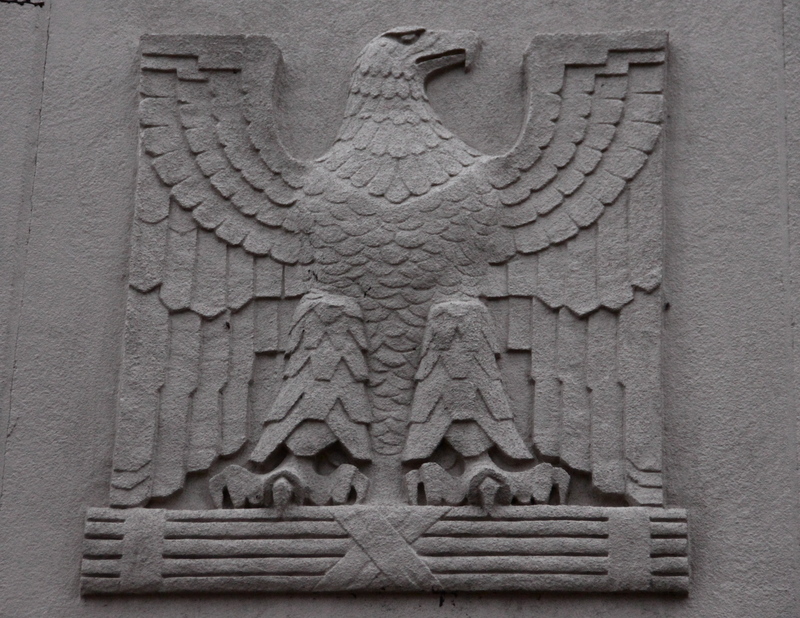 An eagle adorns the side of the building housing the Coldwell Banker Residential Brokerage at Massachusetts Avenue and Route 3. November 23, 2011. 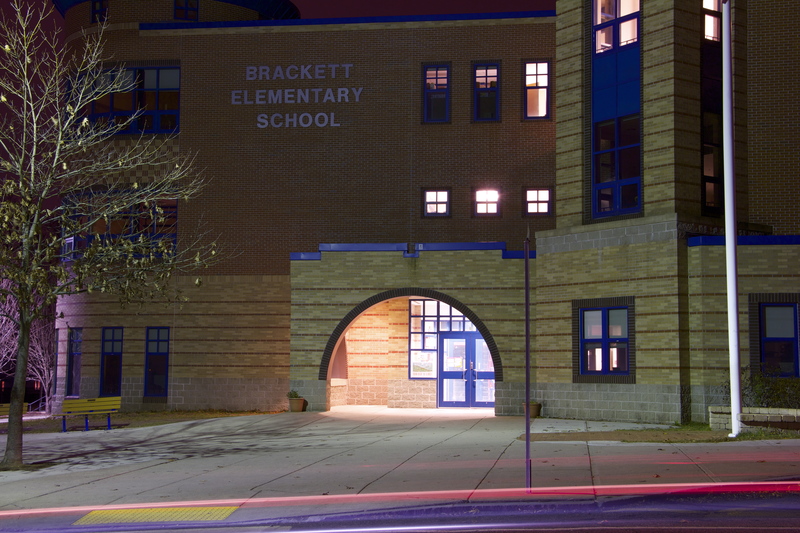 The Brackett School lit up on the night of November 22, 2011.